Looking for that really wild birthday experience? Here at Hanwell Zoo, we offer a purrfect party package for your little ones who are wild at heart. The birthday party is hosted by an experienced keeper who will get your guests creative by making some fun toys for the meerkats. Your guests will then get a private tour of the zoo, visiting and getting to feed some of our most popular animals, culminating in an unforgettable meerkat experience for the birthday boy or girl. The minimum age for this experience is six. It’s £20 per party guest, the minimum number of guests is 10 and the maximum is 20. 4 adults are included in the price and on the tour (due to limited space in some areas). Throughout and after your exciting two hour party at the zoo, a room is available at your disposal for storing gifts and serving party food. Why not finish off the day with one of our lovely souvenir bags with a cuddly meerkats plush inside? 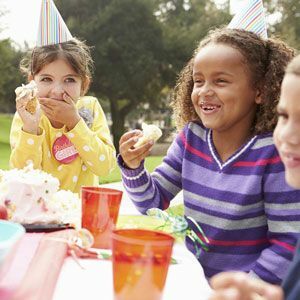 Our birthday parties might not be suitable for everybody, but we will strive to make any arrangements to make your little one’s day perfect. If you require special arrangements, please call us before you book. Please read our Terms and Conditions – Education, Events and Experiences before booking. Experience you are enquiring about? Please note, we can't currently guarantee dates instantly but we will get back to you with availability as soon as possible.